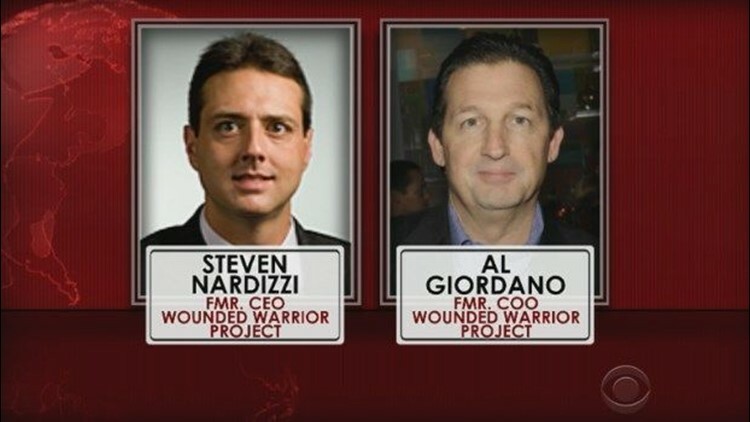 SAN DIEGO (CBS News) - Wounded Warrior Project's CEO, Steven Nardizzi, and COO, Al Giordano, were fired after criticisms from more than 40 employees about how it spends its more than $800 million raised in donations in the past four years, according to CBS News. The news comes after a CBS News investigation of the country's largest veterans charity, Wounded Warrior Project, the board has fired the Chief Executive Officer and the Chief Operating Officer. The allegations include lavish spending by the charity at staff retreats, and other costs, at the expense of programs for veterans. Sources told CBS News the board has received preliminary results of a financial and policy audit, but there are indications that investigation will continue. The decision was made Thursday afternoon, according to CBS News.